Let’s begin with a quick assessment of “leadership”, by yours truly. Self-Leadership should be clearer to you now. We defined what leadership is, and we know that leadership tends to deal with others. “Self”, of course, brings it back to being about us. I see Self-Leadership as synonymous to Personal Growth. They intertwine on the same principles, with occasional linguistic adjustments. But the mission of self-leadership, or personal growth, is to become a better person. That “better individual” is subjective to your individual vision for yourself. Self-leadership is to set, act on, and reach for your dreams. It is to become who you want to become in a healthy way. I believe this to be necessary before you make any significant change, whether to yourself or others. 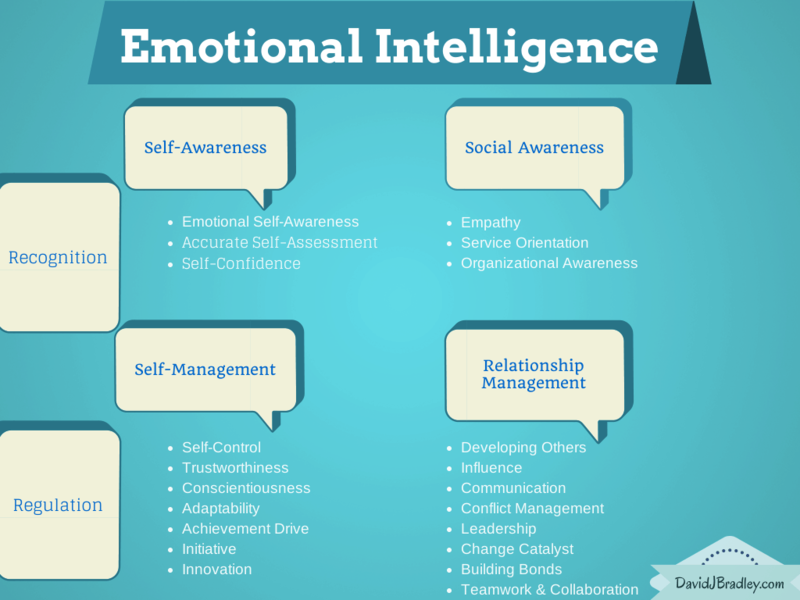 The first piece of emotional intelligence is self-awareness. You need this awareness before effectively engaging in self-management, social awareness, or relationship management. Knowing yourself is the primary factor in all change. If you don’t have an accurate self-assessment, how do you know what to change? How do you know how you change in the most effective and efficient way? And you might want to just jump straight to saying, “I’ve been alive this long and I’m doing alright. I’m pretty sure I know myself, buddy”. But I promise, you don’t. I still don’t know myself perfectly. We will never know everything. That’s what keeps life exciting. But each day as we discover and learn more, we grow, become better people, and move closer to pure happiness. We hear a lot about “vision”. It’s important for leadership, in organizations, and especially in startup ventures. But what really is vision? Vision is the long-term, realistic ideal position for the considered entity. In an organization’s vision you might refer to community impact, industry influence, and financial status. For us as individuals, we often refer to our primary relationships, career, and home. These are, after all, where we invest our primary resource most exhaustively — time. In creating your vision, you want to keep in mind principles of SMART goals, and add a bit of flair to it. Your vision is where you will go back to in times of need for that feeling of hope that pushes you forward. Trust is a central component to strong relationships. This includes both relationships with others, as well as self. If we don’t have trust in ourselves, how can we take effective action? How can we believe in the vision we set for ourselves? Lack of trust is another way to say low self-confidence. To trust self is to firmly believe in your reliability, truth, ability, and strength. You can only find these in a sustainable fashion within yourself. If you want to self-lead, you need to self-trust. Simple as that. I kept the key word in this for a reason — “effective”. We take action every day. Some of it can be significant even. But is it effective? What is effective? To be effective, you are successfully producing a desired result. If we look back to our vision, we know what the intended result is. So for effective action, we need to make sure that we are working towards our vision. Otherwise, we should be more mindful of how we spend our precious time. We all have potential for greatness, regardless of our circumstances. We can speak of the greats who have experienced failure after failure, like Richard Branson. Branson has dyslexia and a poor academic track record. Not the Harvard grad born and bred into greatness perse. Yet, he did go on to become founder and operator of Virgin Group, a 400-company conglomerate. That level of “greatness” is subjective, and frankly unnecessary. If you want to shoot for that, you can, although I can’t say I’d agree with it. I can guarantee Branson never did though. You start small, yet powerful. Your potential for growth limits only by your own effective action and vision. I like to think of my potential in brackets over the next year, five years, and ten years. You’ll find that your vision and potential will adjust as you go, so in one year your five-year will adjust to fit your new place in life. Recognize and embrace changes to your vision. You don’t want to grow stale by staying on a path that no longer serves you. Realize that you can have more in life — and that’s exciting. A healthy ideal is attainable, regardless of your circumstance. You have potential and unlocking that potential is what self-leadership is all about. As shown in the emotional intelligence model earlier, we have two primary focuses: self (awareness, management) and social (awareness, management). It is important to understand these aspects and accept them as part of our lives. Believe me, I’m not into parties and networking. It doesn’t mean I’m anti-social. My preference is to stay home or get outside and do something active. As a side note, I will say I’ve been pushing myself to get to parties and group outings to push my comfort zones. It can lead to tremendous growth, after all. These are all social activities. They just aren’t the “social” picture we have painted for us in our culture. The “personal” aspect, to me, is all about personal growth. How can I continue to learn and grow? This is the essence of self-leadership. Improve our personal processes to improve our lives. Simple and important, yet often left as an afterthought. In self-leadership, it is simple to see how this affects us. Each of these factors we mention, and the hundreds of other factors specific to our lives, require influence. We need to influence our own change. Influence is a driving force behind affecting our character, our development, or our behavior. And to be sustainable, we need authentic, positive reasons behind our actions. Our reasons for change originate in knowing ourselves and our vision. The influence pushes us towards taking effective action through social and personal processes. We trust in ourselves and our potential to keep us on track. See how it all comes together? 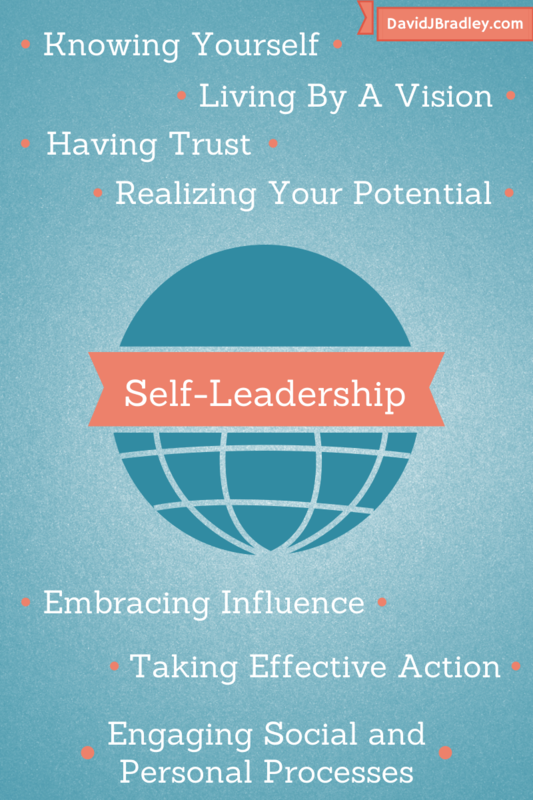 I hope you enjoyed this breakdown of self-leadership. My understanding here is just one of many models out there, of course. I won’t say mine is the one and only for everyone. We are all different. I found something that fit my circumstances and values. You can do the same, starting with this article. Self-Leadership is a value system to live by — a lifestyle. It is custom-tailored to each individual, which is what makes it so special. When you attain the self-awareness to avoid what other’s believe you should be and do, you reach a new level of personal growth. The beautiful thing: if you aren’t there now, you can get there; if you already are there, you still have more climbing to do. This outline resonated with me. I think it hits the major points that you need to focus on for self-leadership and personal growth. I’d like to hear from others as well, however. We are all different so you can disagree with a part, want to add something, or completely change the model I proposed above. Let me know!